Our company, Bouchal Ltd, was founded in 1997 for servicing the libraries all over the world - this year we will be just 17 years old. During these seventeen years we have delivered books published in Hungary and in the neighboring countries (Slovakia, Ukraine, Romania, Serbia) by Hungarian publishers to a large number of libraries on five continents. Of course we deliver books also to bookshops and private persons living anywhere in the world. Our speciality: we have no stock at all. Instead of having stock of books, we deliver books from the stock of our partners in Hungary: book wholesalers, bookshops, publishing houses, institutions and universities, museums, etc. that we are in regular, daily contact with. The books we are offering in our webshop here are last copies remaining back, mostly new books or books of our special offers for libraries that we have to order from our suppliers for you if you want to order them. If you are searching for a certain book and you do not find it, we can try to find it for you and send it to your address. H-1157 Budapest, XV., Erdőkerülő u. 12. 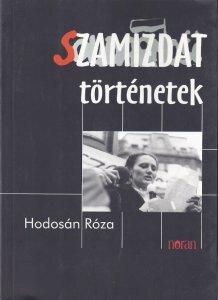 Most frequent words: Könyvek Books Webáruház Bücher Bouchal Kft. How to use the webshop?